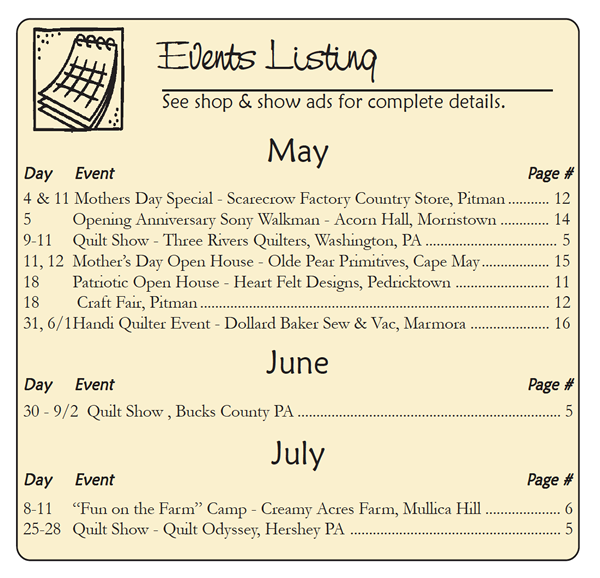 These upcoming events are sponsored by or affiliated with our advertisers. To contact individual shops regarding details of their events, refer to their listing on our Advertisers page. You can pick up a FREE copy of The Country Register in any of our advertiser's shops. You can also read our latest issue online! Click on the advertiser's shop or business name to be taken to their website or Facebook page. Please be sure to like our Facebook page for more information on our advertisers and events.